President & CEO, BMG3 Enterprises, Inc.
With more 25-years of experience in design & construction, program & project management, zoning & building code enforcement, constructability plan reviews, process improvement, performance measurement and facilities planning, Ms. Bradford has managed public facility bond programs in the U.S.A in excess of $800 million, and her company currently manages private development projects in Africa in excess of $2 billion USD via Build Operate and Transfer Agreements in Kenya and Ghana. Ms. Bradford is a Certified Building Official by the Council of American Building Officials; Certified Plans Examiner & Building Inspector by Southern Building Code Congress International; and a Registered (Inactive) Interior Designer by State of Texas Board of Architectural Examiners. She was a consulting team member of the Los Angeles Unified School District’s $21 billion dollar Facilities Bond Program. As Sr. Program Manager, she was responsible for the Fully Automatic Fire Alarm/Elevator Upgrades for 769 facilities in excess of $800 million dollars. 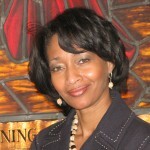 Gena Bradford was a consulting team member of the 1992 – $275 million dollar Facilities Bond Program for the Dallas Public Schools. In charge of Design Review & QA/QC for all new construction, additions, and renovation projects. As the Executive Planner of Facilities for the Dallas Public Schools, she researched, assessed, wrote and implemented the District-wide Energy Conservation Program for the Dallas Public Schools. The program had projected operational and energy savings of $100 million dollars over a ten year period. Ms. Bradford was appointed by Southern Building Code International’s Board of Directors to the Code Interpretation Committee. The Committee made up of 11 members, process formal interpretations on the meaning or intent of specific code provisions in any of the Standard Codes for the membership. Served two (2) terms and appointed 2nd term as Vice-Chairman. During her tenure as the Interim Deputy Building Official and Sr. Plans Examiner, she was the Former Chairman of National Building Safety Week and former Board member of Operation New Birmingham, a task force committed to the revitalization of downtown Birmingham, Alabama. She was also, appointed to the City of Birmingham’s Design & Construction Team responsible for oversight of Birmingham Municipal Airport Expansion Project, Hotel & Convention Center and the Birmingham Civil Rights Museum. Since relocating to Washington, DC five years ago, she has been a Board Member – WHUT Howard University Television Station. Over the past seven (7) years, Gena Bradford has worked with clients in Africa on varies projects in the pre- development and funding phases. Those projects include a mix-use development in Monrovia, Liberia; a private hospital in Abuja, Nigeria; Federal and State University Hostels in Nigeria; a Boarding High School in Abuja, Nigeria; and currently several infrastructure development projects in Ghana and Kenya. As President/CEO of BMG3 Enterprises, Inc., the company was founded on her experience in program, project and construction management. BMG3, located in Washington, DC, is a global provider of program and construction management services in various markets, including facilities, energy, transportation, mining and infrastructure development to both public and private sector clients – specializing in Africa and the Caribbean. Their professional services include pulling ideas into focus and sharpening the boundaries of a preliminary plan or concept for economic development, urban revitalization, real estate, tourism & culture, and sustainable development.